The facet joints are a common source of pain in the neck particularly after ‘whiplash’ injury and in the elderly due to arthritis. The pain can often be relieved by a small dose of corticosteroid into the offending joints under X ray control followed by postural exercises. In the lower back the facet joints can be painful in 15% of cases rising to 40% or higher in the elderly and can be relieved similarly. This is followed by an exercise programme to reduce the loading of these joints. 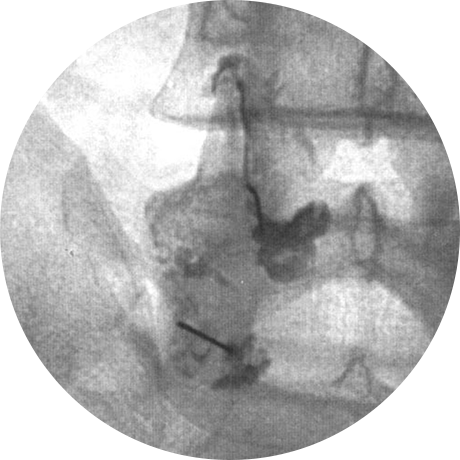 If the pain recurs despite this, medial branch blocks are performed diagnostically before proceeding to radiofrequency denervation which can bring lasting relief.